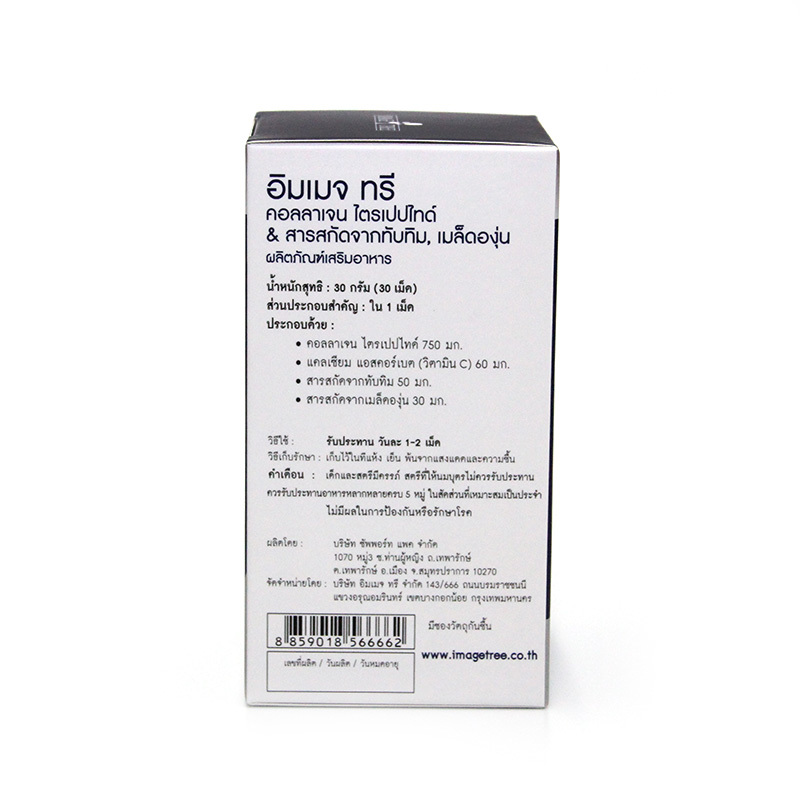 แคลเซียม แอสคอร์เบต (วิตามิน C) 60 มก. *Ref Lodish H, Berk A, Zipursky SL, et al. Molecular Cell Biology. 4th edition. New York: W. H. Freeman; 2000. Section 22.3, Collagen: The Fibrous Proteins of the Matrix. 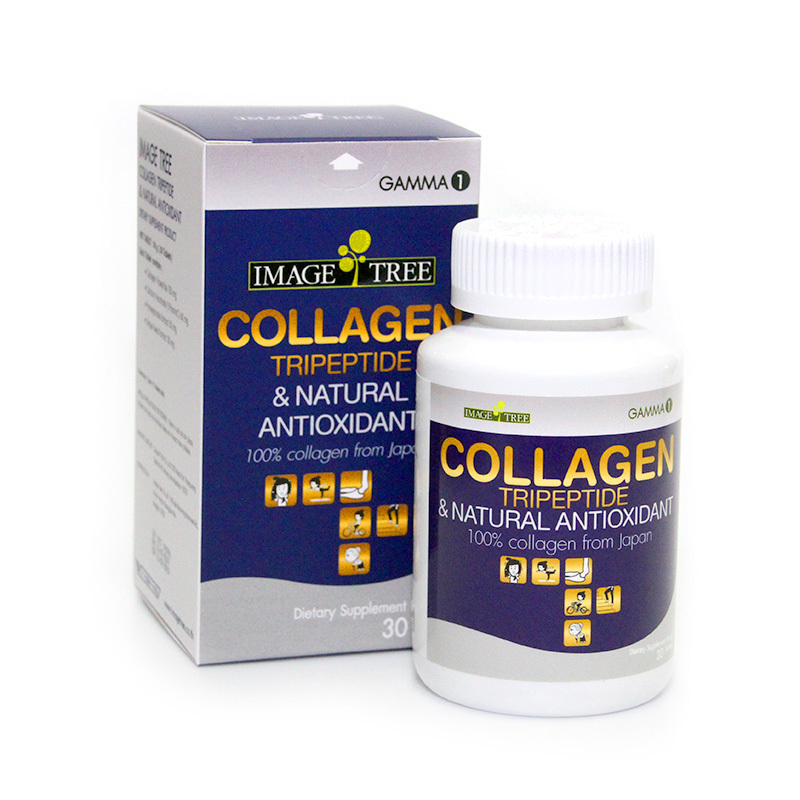 Collagen account for 30% of the protein that forms the body. 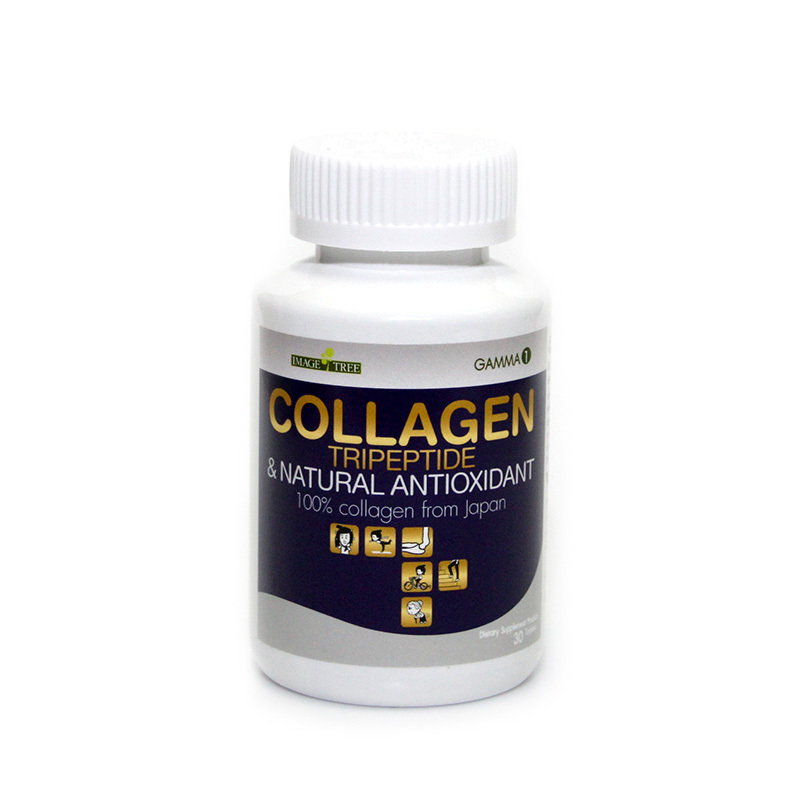 Collagen as the main ingredient in skin, bone and tendon etc. HACP maintains the cushion-ness of the cartilage area and the flexibility of the tendon area of joints. HACP has been shown to significantly improve various symptoms such as bone fracture and osteoarthritis. *Hyaluronic Acid play an important role in tissue hydration, lubrication and cellular function, and is able to hold more water than any other natural substance. 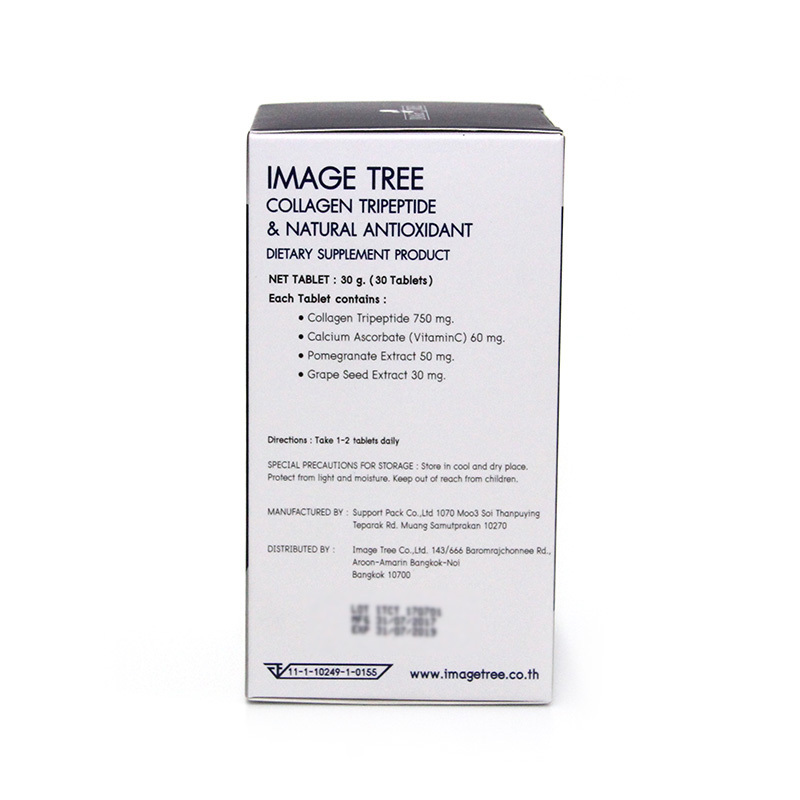 Its unmatched hydrating properties result in increased smoothness, softening and decreased wrinkles. Why have to increase HA production? * HACP help the skin keep fresh and moisture. * HACP was tendency increase a level of stratum corneum hydration. * High moisture skin found on HACP group. 148 healthy female subjects in 20-50 years old are divided into two group.